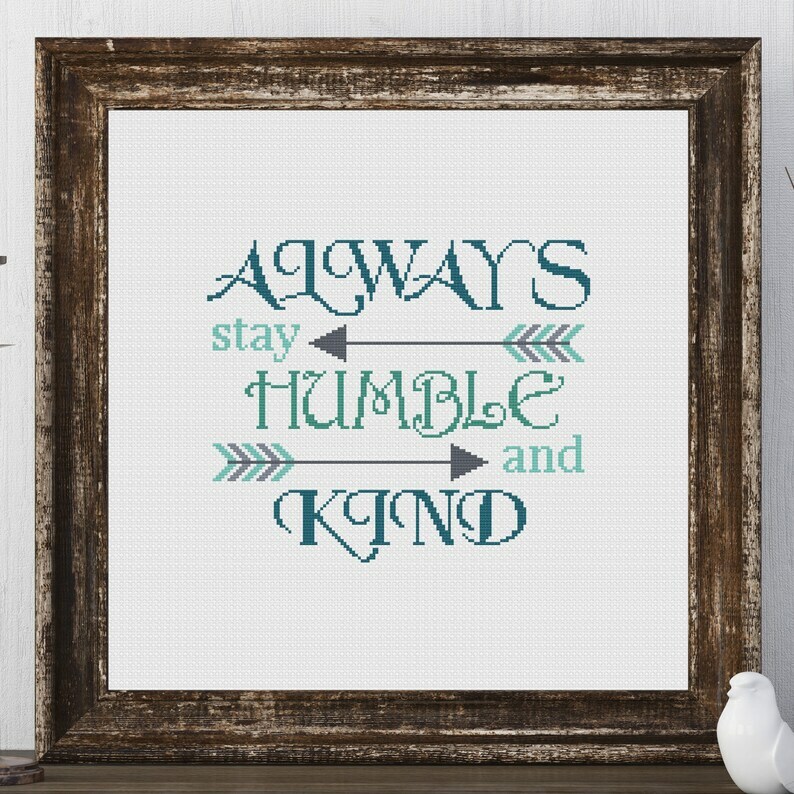 Always Stay Humble and Kind. - One of my favorite songs from Tim McGraw. Made with several shades of blues (teal & aqua) along with grey accents. * Yay! You could easily change to any colors you want to match your decor! Make a little bit of homemade for yourself or a friend! Finished size of pattern: 9.4 high x 7.9 wide (inches). Can be framed in a 12 x 12 frame (as pictured), or in an 8 x10. Makes for an easy and fun way to finish off your projects! Give as a gift or keep it for yourself! *Please note: I work hard to come up with color combinations for my designs. I personally stitch different threads to make sure all the colors work together. Many of my pictures are digital however, which can help protect my designs from people who will copy. I try my best to represent the colors on-screen, but please be aware that monitor settings can differ. If you would like, I would be happy to take "extra" pics of a sampling of colors for you. That way, you can make sure the design matches the colors you love. Just let me know! I am also happy to create customized cross stitch designs, quotes, and even finished products. I can change colors or create new designs for you! Contact me for a custom quote!